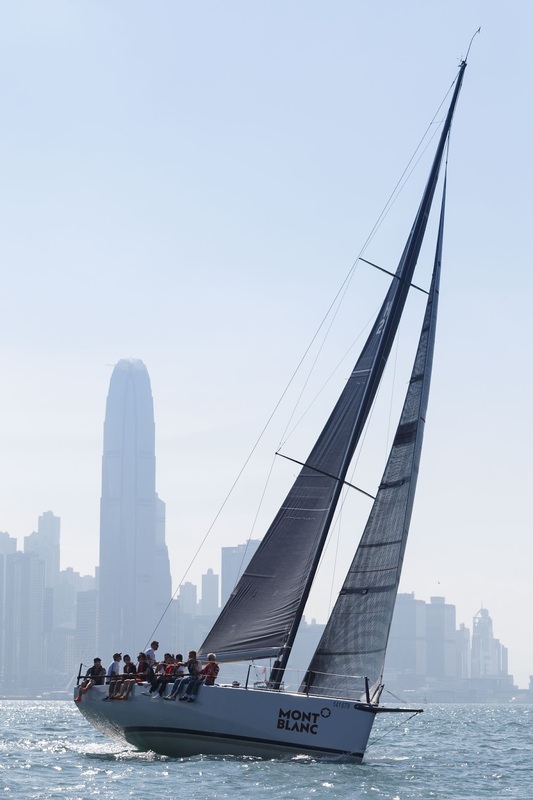 Maison Montblanc, the leader in men’s luxury accessories, hosted a unique yacht-racing event to celebrate the launch of the new Montblanc 4810 Collection timepieces in Hong Kong recently. 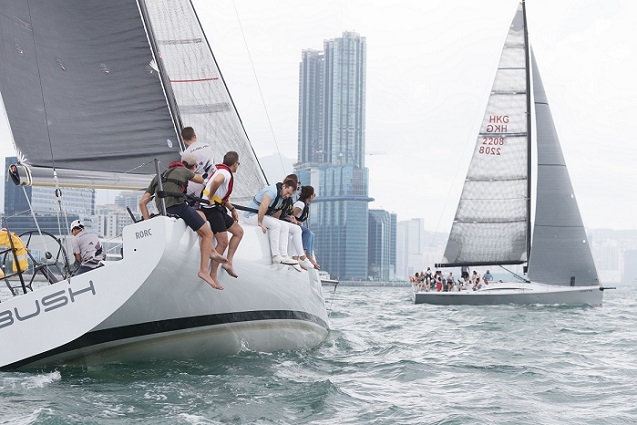 Invited guests participated in professional yacht-racing across the Victoria Harbour and preview the full 4810 watch collection. 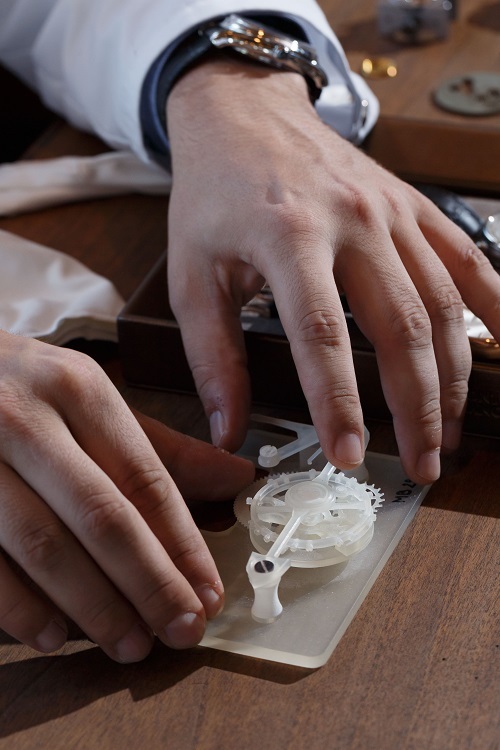 The Maison also fly-in its Master Watchmaker, Julien Miribel, to introduce the patented Montblanc Exotourbillon movement and demonstrate the watchmaking process during the event. 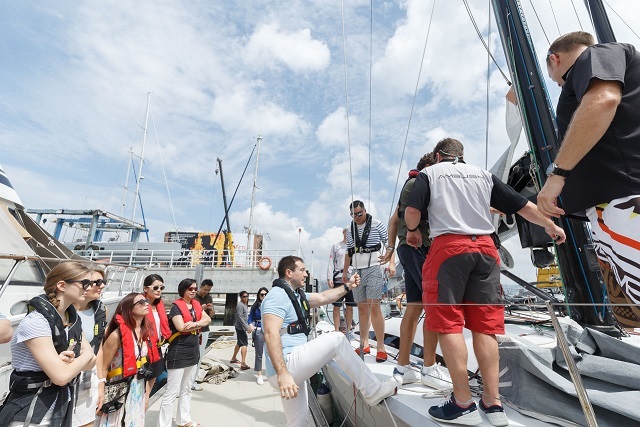 The event is a tribute to the Blue Riband award, a prestigious prize for the fastest passenger liner crossing the Atlantic Ocean in the early 20th century. The much-coveted award attracted both passengers and freight companies to seek out the fastest and most powerful ships. The Blue Riband became a true symbol of distinction and high achievement and its spirit is part of the new Montblanc 4810 Collection, embracing peak performance and horological excellence. Launching the 110th anniversary celebrations is a new Montblanc ExoTourbillon Slim Collection, which combines the Maison’s patented ExoTourbillon complication with the addition of a quick stop-second function. 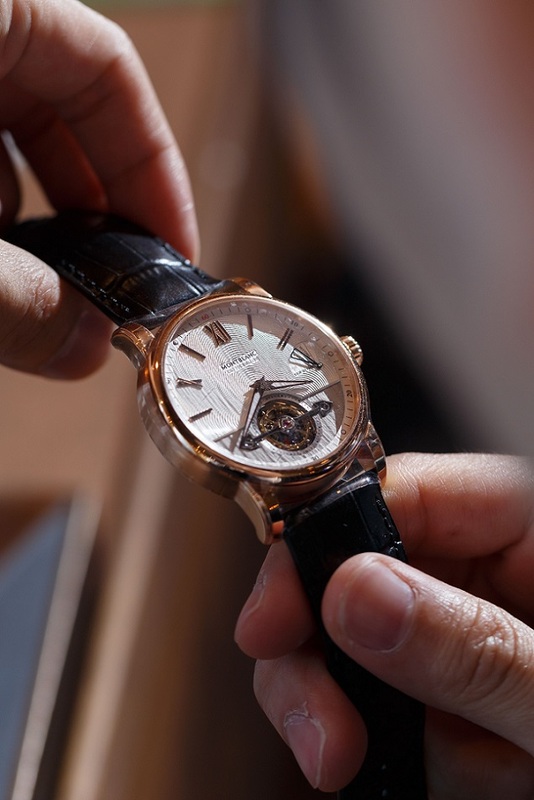 The ExoTourbillon outperforms standard tourbillon constructions for two reasons. Firstly, the weight of the cage of the ExoTourbillon is disconnected from the balance wheel, and secondly, the weight of the cage is minimal, thus resulting in higher precision and improved isochronism. The balance wheel with 9.7 mm in Diameter also plays an important part in the performance of the timepiece thanks to its impressive 18 screws with four gold screws that can be adjusted and 14 screws that are fixed further improving precision and traditional watchmaking aspect. 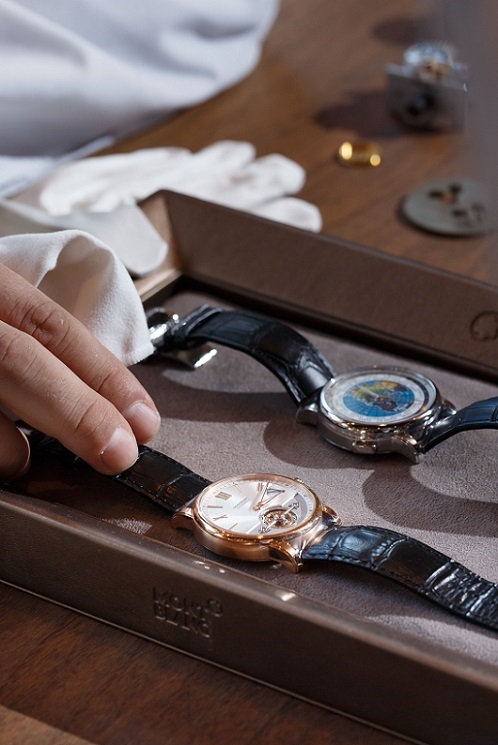 The Calibre MB 29.21 ExoTourbillon automatic movement incorporates a brand new micro-rotor decorated with a Côtes de Genève en Eventail motif and allows an uninterrupted view on the movement through a sapphire crystal case back, in comparison to a standard rotor that always hides half of the movement. 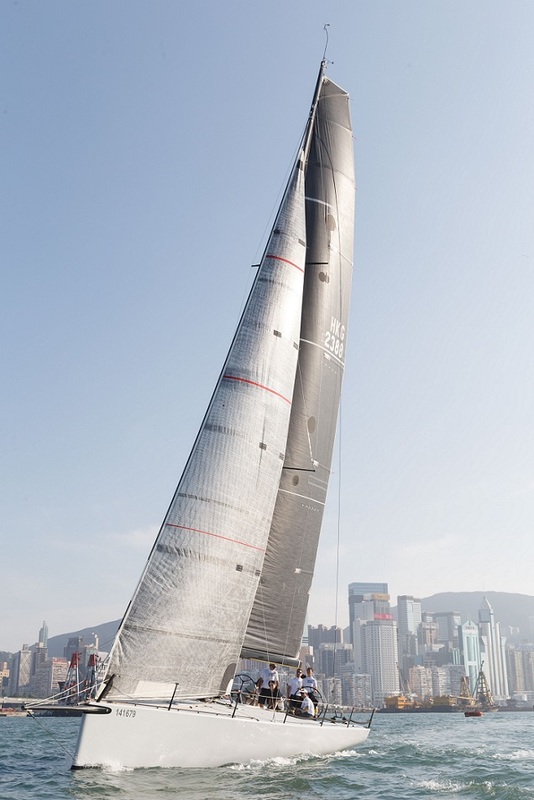 The whole construction measures a mere 4.5mm in height, a feat in itself for a calibre of this complexity. To showcase the technological excellence culminated in its innovative timepieces, Montblanc specially invited its Master Watchmaker Mr. Julien Miribel from the Maison’s manufacture in Villeret to demonstrate the sophisticated watchmaking process and the craftsmanship that has been solidified in the watch manufactures in Switzerland. 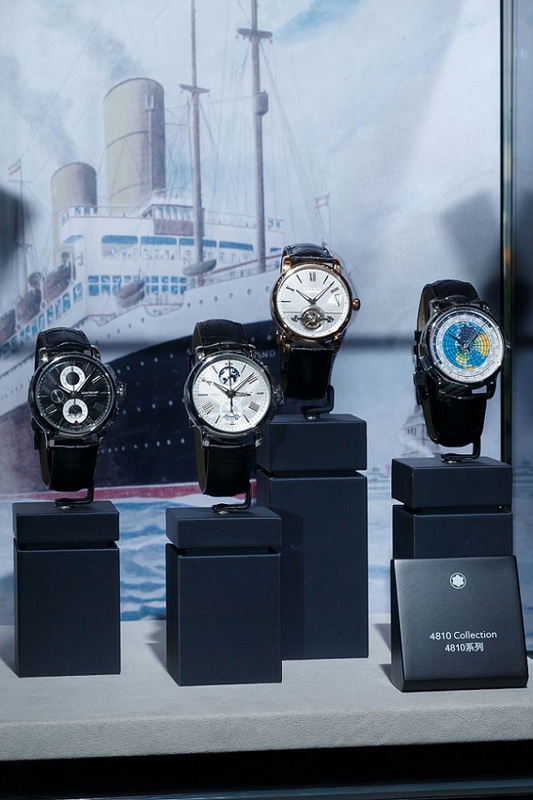 Mr. Miribel also introduced and explained the technology inside the patented Montblanc Exotourbillon movement and other horological complications. In addition, Mr. Miribel offered experience sessions to allow guests to appreciate the beauty of Montblanc’s advanced and delicate artisanship much more intimately.